Even though Father’s Day only comes around once a year, we know you love and cherish your father the other 364 days just as much. Why not go the extra mile on your wedding day to make sure your dad feels that love and appreciation? After all, he is the man who loved you first! Before walking with him down the aisle at our rustic wedding venue near Knoxville, remind your father of the V.I.P. he is. Here are a few sweet gestures for you to use for your wedding here at Country Jewell. 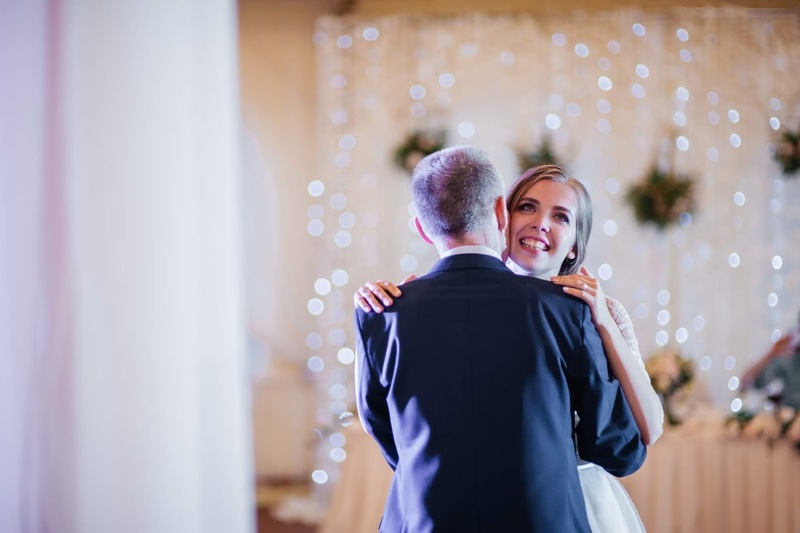 The father/daughter dance is a sweet, sentimental tradition in which most brides partake during their wedding reception. Why not choreograph a special routine for when that time comes? Getting together for dance rehearsals with your dad will not only give you a break from the often hectic wedding planning, but it will also mean the world to your father to get to spend a little extra time with you. Try reaching out to your florist to design a unique boutonniere for your dad. Since all the men in the bridal party typically have the same boutonniere, it will be special for the father of the bride to stand out. Plus, it will let your dad know that you put some extra time into thinking of him. On your special day, it's a safe bet that your dad will get emotional when he sees you all dressed up and ready to walk down the aisle – whether he shows it or not! Have your photographer capture that special moment when your father sees your wedding dress for the first time. His reaction will be priceless, and you’ll have the memory captured for years to come. On your wedding day, your dad will proudly wear the title “Father of the Bride.” It’s common to have special signs made for the reception to mark the chairs of the bride and groom, but your parents have special titles that they hold in high regard as well. Mark your father’s seat with a sign or something even more personal, such as a photo of the two of you from your childhood or a sentimental gift. Many brides’ fathers can’t be with them on their wedding day. It’s still nice on this special day to honor your father’s memory in some way. Some brides choose to place a photograph in a seat reserved for the father of the bride where he would have been sitting. There are also more personal ways to remember your dad, such as playing his favorite song at the reception or placing his favorite ball cap on his chair. Anything that is a symbol or your memories of him will be meaningful. Though your wedding most likely won’t be held on Father’s Day, there are many ways to make him feel special on your big day here at Country Jewell. Remember, the man walking you down the aisle is just as important as the one you’re walking towards. Try out some of these sweet gestures at your own wedding at our scenic wedding venue near Knoxville, or we bet you can even come up with a few more of your own! Either way, take the time to thank your father for all he’s done leading up to your wedding day.